The mission of your business is greatly affected by the color choice, and font selection. Each color combination will create different atmospheres. The font or fonts on your website will also reveal the characteristics of your brand. (Note: online users are more likely to interact when they feel comfortable, reliability and character from the webpage). Design is a visual interpretation of your brand and the layout is the way you choose to present your content to visitors. Be clear on what you want to show your audience, think of it as your website’s outfit, will you want to present your business in a glamorous way or energetic and fun way? Whether your website is going to be an image-based or text-heavy layout will all be determined by the style you chose. Good website design is not all about how it looks, but how it performs as well. 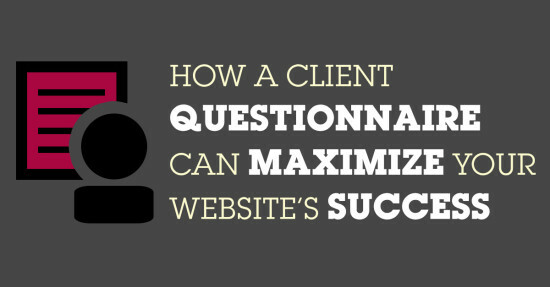 From lead generating to catalog websites, designers need to know what your expectations are. They cannot make suggestions in terms of which function is best for your business unless you tell them the goal you wish to achieve. Next time when you see a client questionnaire, please remember the true purpose of it. It is not to waste your time or increase your workload but to save both you and your designer’s time and maximize your website design success. With those questions answered, designers can already determine 3 main elements of website design: atmosphere, layout and function. There are numerous design elements that need to be taken into consideration, but you can leave the rest to the professionals. Contact Ready Artwork today and share your future website’s vision with us so we can help you achieve your website and business goals!